Age 87 of Mesa, Arizona and formerly of Morris, passed away Friday, January 4, 2019. Born March 8, 1931 in Morris, Nancy Jean was a daughter of Russell and Florence (Phelps) Higgins. She was raised and educated in Morris and graduated from Morris High School with the class of 1949. On December 2, 1954 Nancy married Bill Matheny at Immaculate Conception Catholic Church and together they made a home and raised their family in Morris. 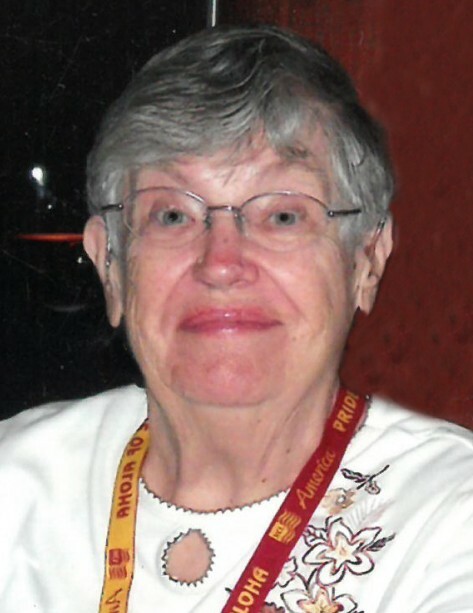 Nancy was a devoted member of Immaculate Conception Catholic Church and in her free time enjoyed gardening and travel. She also volunteered with the American Red Cross as well as Morris Hospital. Nancy will be remembered most for her endless love and care of her family. Survivors include her two children: Patrick Louis Matheny and Lynne Matheny; three grandchildren: Shawna, Rebecca and Melissa, and five great-grandchildren: Leyna, Eli, Chase, Jonah and Shalynn, as well as numerous nieces and nephews. Nancy was preceded in death by her parents, husband Bill on September 26, 1992; sisters: Leona Narvick and Natalie Slagell and brother, Russell Higgins, Jr. Per Nancy’s wishes, cremation rites were accorded. Family will receive friends for a memorial visitation on Friday, February 1, 2019 from 4:00 p.m. until 7:00 p.m. at Reeves Funeral Home, 408 East Washington Street (one block East of IL Route 47) in Morris. A memorial service will follow Saturday morning, February 2, 2019 at 10:00 a.m. in the funeral home. Burial will be in Mount Carmel Cemetery in Morris, where Nancy will be laid to rest next to her husband. Memorial services and arrangements have been made under the direction and care of Reeves Funeral Homes, Ltd. in Morris (815) 942-2500.